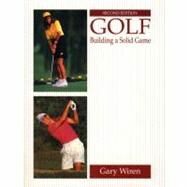 Golf Books - Books on Sports - Sport Books: Catalog of books about your favorite sports. 2019 Golf books on sale now. Buy your 2019 Golf books with us today. We have many Golf books to choose from and each purchase comes with the ease and convenience of Sportspool's online experience. We hope you find the Golf book that is perfect for you! "'Going Low teaches tour-proven strategies so you can break through your individual scoring barrier--whether it's 100, 90, 80, or 70--for the first time and continue to shoot low golf scores. Drawing heavily from the experience of top professionals and his own work, author Patrick Cohn provides specific instructions that will guide you, lesson by lesson, toward your dreamed-about scoring target. With this book, you will learn how to unlock your self-imposed limits and develop confidence in your play." 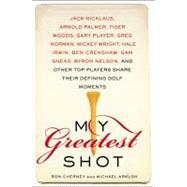 "A collection of letters from such golf personalities as Jack Nicklaus, Arnold Palmer, and Tiger Woods features reminiscences about their most memorable and defining golfing moments, in a volume complemented by player background information, quotes, and personal anecdotes." "From the unquestioned expert in the field, the authoritative guide to yoga for golfers ''Working with Katherine for the last couple of years has allowed me to compete at a very high level.' 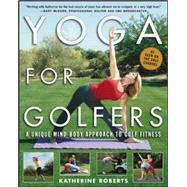 '--Gary McCord, CBS golf commentator and Senior PGA Tour player Katherine Roberts, founder and host of the 'Yoga for Golfers' program on the Golf Channel, offers her unique educational methods in this groundbreaking book, providing instruction to the millions of golfers--including many top tour professionals--who have turned to the art of yoga to improve their game. Based on 20 years of expertise, 'Yoga for Golfers connects the mind and body to create a powerful fitness regimen, including: Yoga postures specifically selected for a golfer's needs Proper breathing techniques Mind-relaxation methods Injury-reducing stretches Visualization tools--for success on and off the course"
"Written by one of the foremost golf instructor's in the U.S. today, this text covers all aspects of the game in clear, uncomplicated terms. 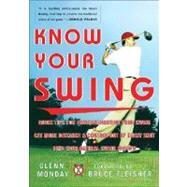 It includes instruction for the mechanics of stance, swing, and shot-making technique as well as guidelines for selecting equipment. Perfect for the novice, or as a refresher for the regular player."